Modest Mouse is an American rock band that formed in 1992. They have been nominated for the Best Alternative Music Album at the 2005 Grammys and will be playing June 5th at The Complex. Julianne and Derek Hough are a brother and sister from Utah that you may know from Dancing With the Stars. They will be back in Utah on their third dance tour together on June 7th at the Eccles Theater. David Archuleta was the runner up for the seventh season of American Idol and will be playing in Utah on June 17th at the Kenley Amphitheatre. The Band Perry has won a Grammy for Best Country Duo/ Group Performance in 2015 and sings the hit song If I Die Young. They will be playing in Utah on June 21st at the Sandy Amphitheatre. Russ is a 24 year old American hip hop artist from Atlanta that will be performing on June 27th at The Saltair in Magna, Utah. Kellie Pickler is an American country music artist that was first discovered on the fifth season of American Idol when she got sixth place. She will be performing on July 16th at the Deer Valley Resort in Park CIty. Twilight Concert Series lineup currently includes Little Dragon, Kurt Vile and the Violators, Kamasi Washington, Solange, Cat Power, and The Roots. The series will be going on Thursday nights from July 20th through August 31st at Pioneer Park. Green Day With Special Guest: Catfish and the Bottlemen [Green Day] is an American Punk band that has won 4 Grammys and has been nominated for 10 others. Catfish and the Bottlemen are a British rock band whose album, The Balcony, reached number 10 on the UK Albums Chart. They will both be playing on August 7th at the USANA Amphitheatre. Idina Menzel won the Tony Award for Best Lead Actress in a Musical for her performance in Wicked and has also voiced Elsa in the movie “Frozen.” She will be performing on August 19th at the Kenley Amphitheatre. 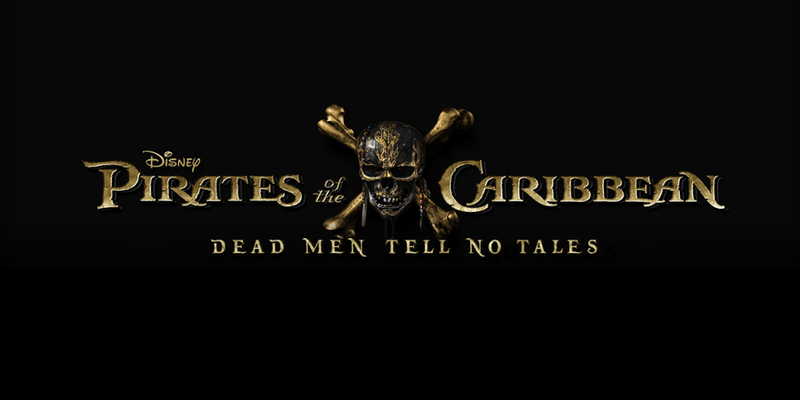 “Pirates of the Caribbean: Dead Men Tell No Tales” is about Captain Salazar and his ghost pirates (from “The Pirates of the Caribbean: The Curse of the Black Pearl”) escaping from the Devil’s Triangle and are determined to kill every pirate at sea. The fifth installment of the series will be released on May 26th. “Wonder Woman” is about Diana, princess of the Amazons, who becomes Wonder Woman and fights in a war to end all wars before discovering her full powers. The movie about the DC Comics superhero and founding member of the Justice League will be released on June 2nd. “Despicable Me 3” is about Gru whose twin brother, Dru, wants to help him on his last criminal heist: facing off with Balthazar Bratt to steal back a diamond. The third installment of the series will be released on June 30th. “Cars 3” is about Lightning McQueen who has been defeated many times by Jackson Storm and ends up getting in a terrible car crash. Many wonder if he will retire from his racing career after the horrific incident but McQueen has other plans. The third installment of the animated Disney series will be released on June 16th. “Spider-man: Homecoming” is about Peter Parker (after the events that occurred in “Captain America: Civil War”) trying to balance being a high school student and fighting crime with the help of Tony Stark. The movie based on the Marvel Comics superhero will be released on July 7th. “Annabelle: Creation” is about a dollmaker and his wife who years after their daughter’s death welcome a nun and several orphaned girls into their home. They end up becoming the target of a possessed doll, Annabelle. The sequel to “Annabelle” will be released on August 11th. Downtown Farmers Market celebrates it’s 26th year selling Salt Lake’s freshest locals goods and will be running June 10th through October 21st every Saturday from 8am- 2pm. It will be located at Pioneer Park. 9th West Farmers Market is also known as the People’s Market and will be running on Sundays from June 14th through October 11th from 10am- 2pm. It will be located at Jordan Park. Sugar House Farmers Market is a non-profit organization run by a market manager and volunteers that will be running on Wednesdays from June 8th through October 26th from 5pm- 8pm. It will be located at Fairmont Park. Park Silly Sunday Market had 196,000 people enjoy their market last year and will be running on Sundays from June 4th through September 17th and will go from 10am- 5pm on Park City’s Historic Main Street. Thank you for sharing this information. It is nice to be able to have information about what is going on around our communities and be able to participate if we wish too! This gives me such a big insight on whats going on around the community and what there is to do so we can be apart of it and see what is really happening in our environment! This is a great article! Thanks for informing me about the upcoming events for this summer! I’m not much of a concert girl so i don’t think i’m going t go to any this summer but I’m definitely looking forward to watching the new movies coming out like Annabelle: Creation and Despicable Me 3! This is such a useful article, i can always come back and see what events are going to happen near me and be able to attend them! I want to enjoy my summer so these will come in handy. I’m excited to watch the movies coming soon and as well as the concerts.